Citgo & Service Pro. Oil, grease, and detergents. 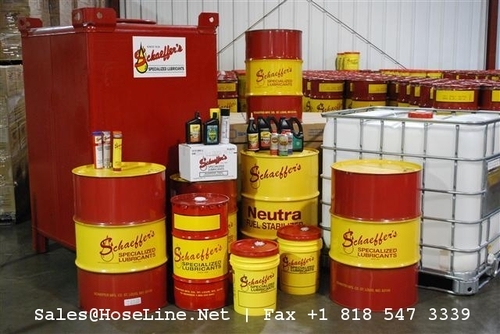 Premium grease & oils for the most demanding applications. Download the product interchange here. Updated October 2013. Service Pro premium hydraulic oil. ISO 32-AW to ISO 68-AW. Updated: 2003. We no longer carry this series, but we can quote you PERFORMANCE 500 (Chevron alternative) and other blends of equal or better performance. Send us a fax/email for a quote. Updated December 2013. 1002 penetrating oil in a 16 fluid ounce aerosol can. Minimum order: 24 cans per case. Applications: loosening of rusted bolts and nuts. Economical hinge lubricant. "Citgo Supergard® Motor Oils are premium quality engine oils designed to provide optimum performance in high-ouput gasoline (including tubrocharged and supercharged) engines in passenger cars, vans, sport utility vehicles, and light trucks. The new technology incoporated in this latest-generation lubricant enables it to exceed manufacturers' performance requirements. . . . "lLL-BRO-0402-000001, 2002. "CITGARD® 600 Engine Oils are intended for use in the most demanding service in commercial trucks, tractors, construction equipment, and stationary engines. These premium lubricants will provide excellent performance in diesel engines. Their high additive level provides a greater degree of protection and lubrcant life over longer oil drain intervals or when using fuels of lower quality. "lLL-BRO-0402-000001, 2002. "Performance benefits:  Superior year-round engine protection for fleets operating in wide temperature range conditions  Lightening-fast full lubrcation during cold weather start-up  Excellent high temperature wear protection  Eliminates seasonal changeover and inventory problems when going from SAE 10W-30 in winter to 15W-40 in the summer  Helps avoid engine damage from using cold weather starting aids such as ether  Reduces dependency on engine block heaters resulting in inconvenience and higher electric bills  Provides drain interval optimization capability  Promotes fuel savings  Provides most of the advantages of full synthetic engine oils at a lower cost, for overall reduction in fleet cost  Promotes longer engine"lLL-BRO-0402-000001, 2002.